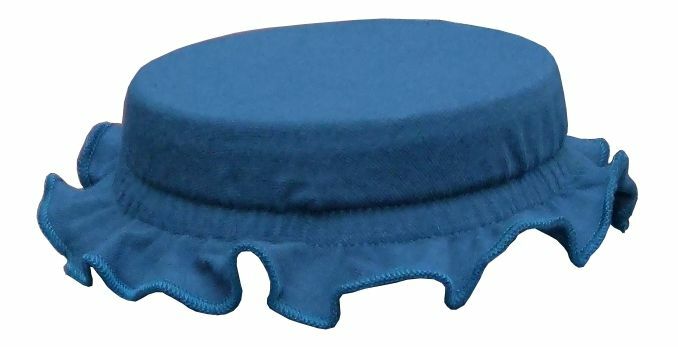 The Brewer Cap makes topping off your brewing vessel a breeze! 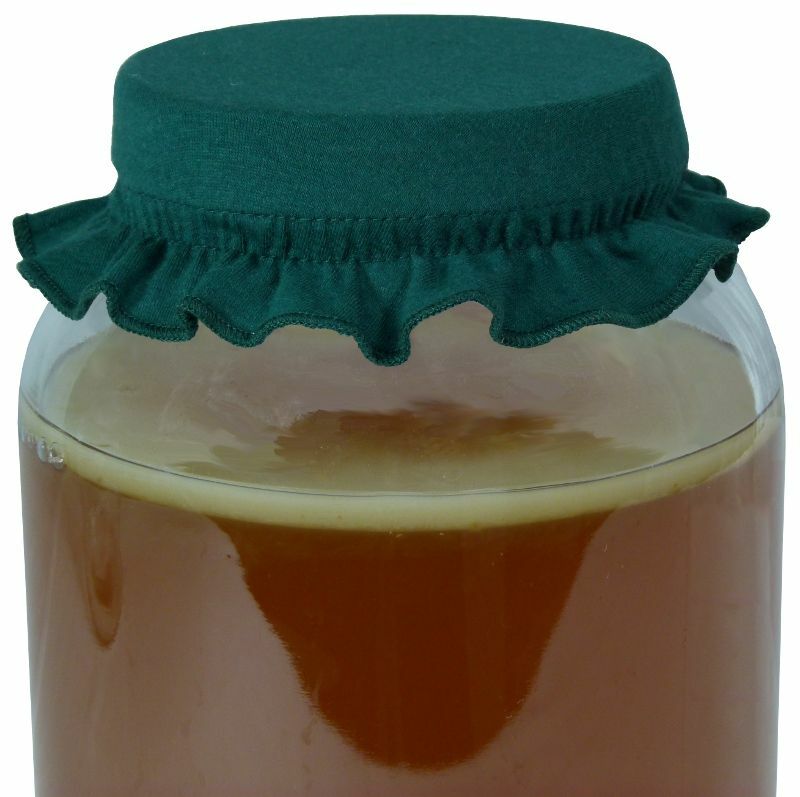 The grippy elastic holds it snugly to most jars including pint, quart, half gallon & gallon size preventing fruit flies, dust or other debris from getting in your brew. 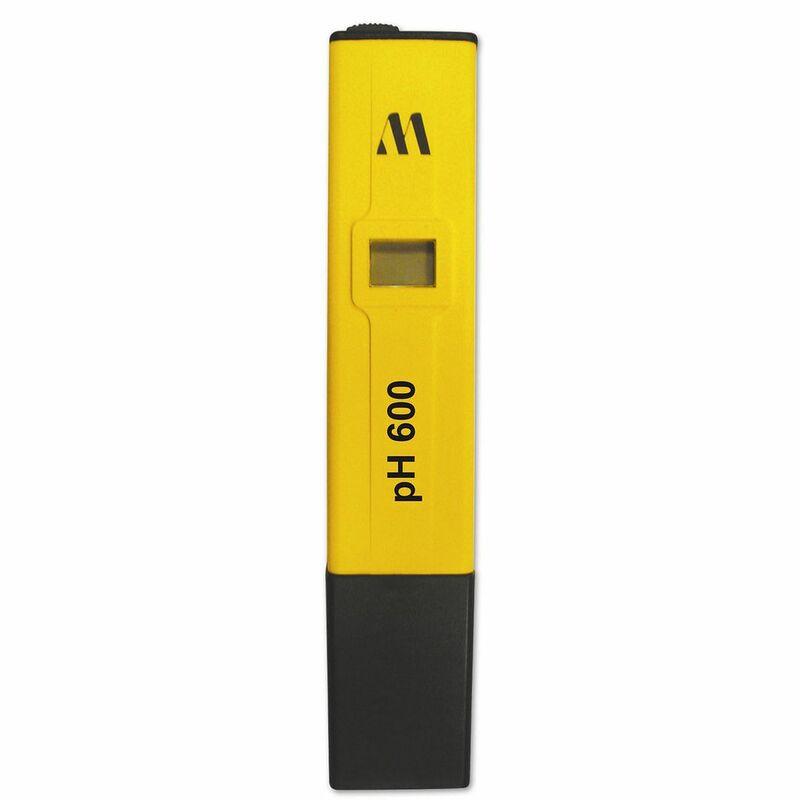 Plus it comes in a variety of colors making it easy to tell your ferments apart! The 3 pack lets you mix and match your favorite colors or select all one color. 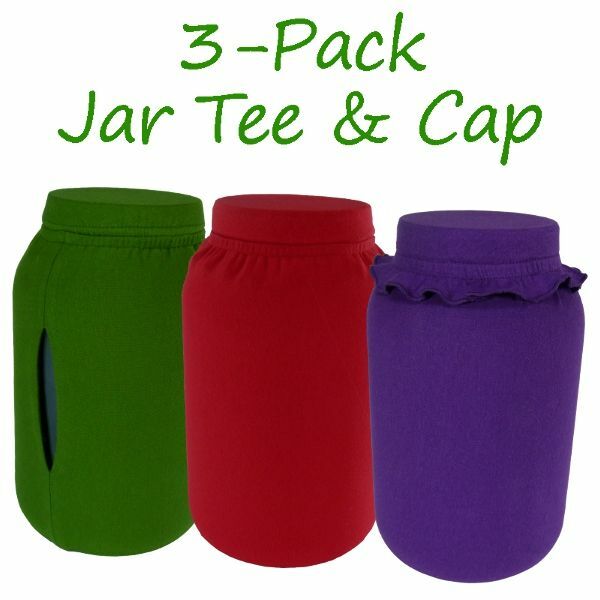 Stretchy cotton designed to fit perfectly on most jars - pint, quart, half gallon & gallon size! Got1 cover long time ago. Loved it! Perfect size. Now our tea family is growing and I just ordered more yesterday! 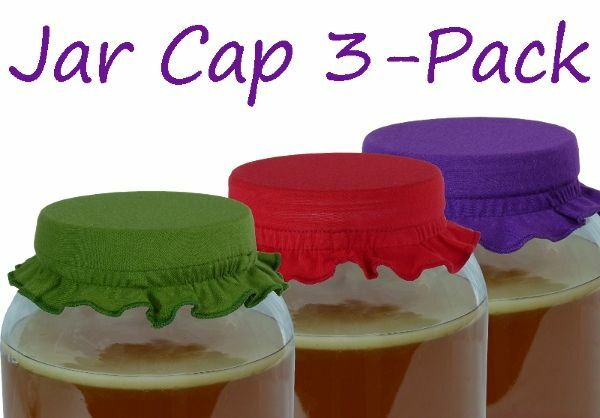 By Kim Humiston 12/23/18, These brewing caps are so quick and easy to use. Much easier than a coffee filter and a rubber band! Worth the investment. I got these for my boyfriend and he absolutely loves them. Excellent quality and made to last for a long time. Nice, tight weave to keep out invaders and dust. 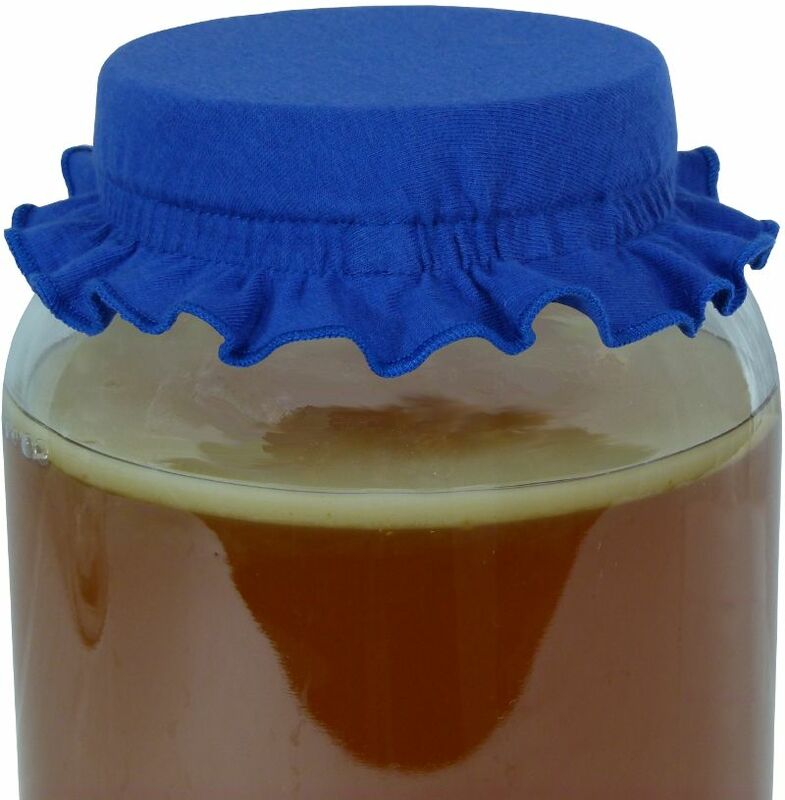 The SCOBYs are also happy and look very cute with their new hats. Did I mention that Kombucha Kamp has excellent customer service? Well, they do. And their book is awesome too. These work great; they're well made and I defy any fruit fly to get through them. I adore these covers! They fit my wide mouth 1/2 gallon jar, my regular gallon jar, and my 2 gallon CB jar. They are perfect! Love these! Ordered the three pack and so glad that I did. They're well made, fit nicely on the jars and look "professional". It's just that one small step easier than worrying about having the cloth and elastic separate. Thank you! These covers are well made and durable. They have become a must have item. I love these caps and wish I had ordered them sooner! It's so nice not dealing with rubber bands. These fit nicely on both my quart and gallon jars, and they look really nice. 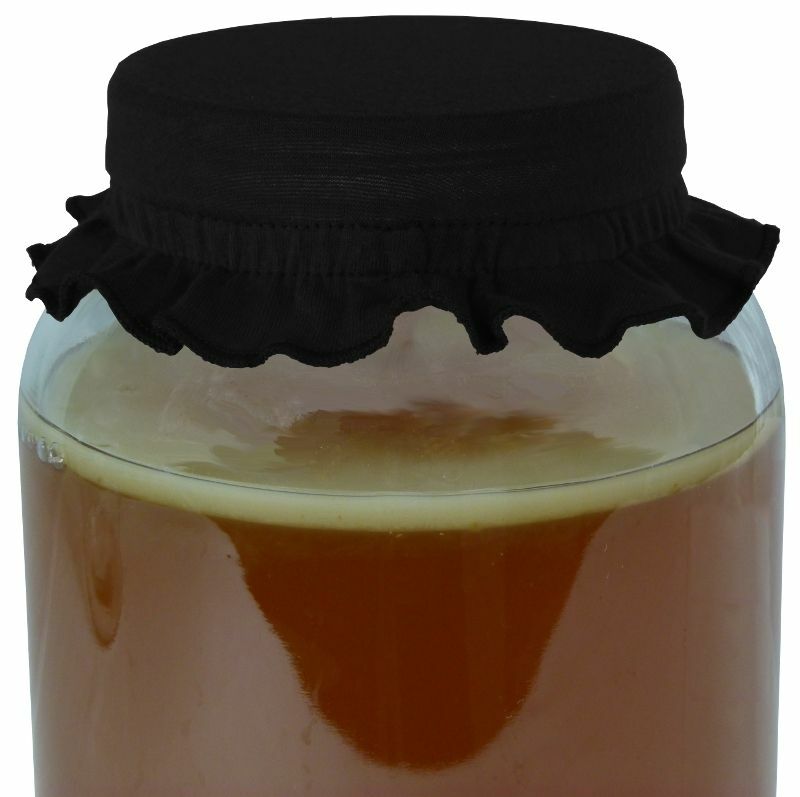 I recently tried the smaller cloth/elastic covers for jars (I already have the ones for the crocks) and they are awesome and very convenient! I use them all the time to cover my ball jars when I am making different recipes and sometimes to cover my soaking oatmeal. Also, I had one cover for my crock that got a little tired and wasn't gripping as well, and KK included a complimentary one in my next order! Now that I finally have all my supplies, I'm going to start ordering larger quantities of tea! 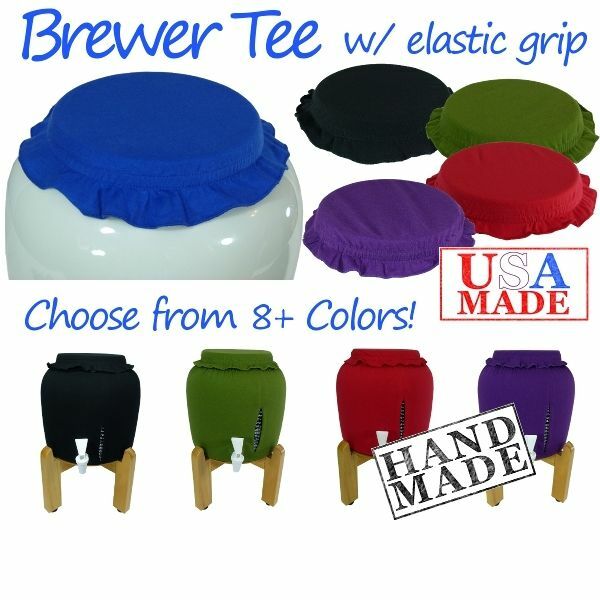 I just wanted to tell you how much I LOVE the "Brewer Caps" that I recently purchased from you!!! They are amazing, and I wish I had bought them sooner! They fit perfect, and are so much easier than messing with the coffee filter, and rubber-band I had been using! Thank-You so much for helping to make my Kombucha making journey so successful!!! *****5 star+, Company, Customer Service, Products, and super fast shipping!!! These covers are really nice. I was taking coffee filters and rubber banding them, but that is a pain and coffee filters rip. This is a big time saver and convenient for brewers with multiple vessels. 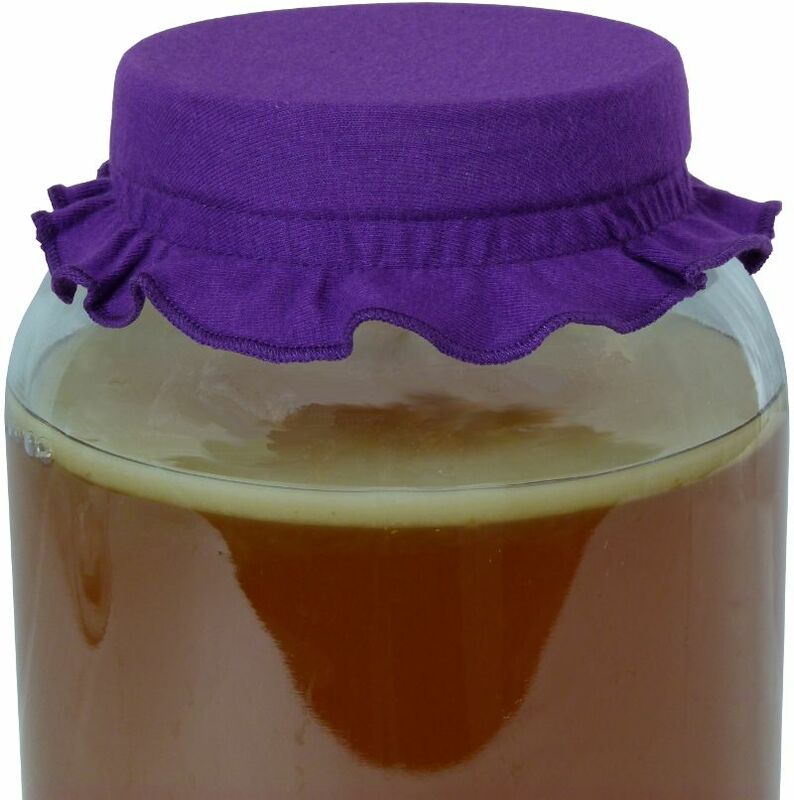 These Kombucha cloth covers are so well made and work so well! I ordered the 3 pack and shared one with my niece. They are so much easier to use than the coffee filters I was previously using,and these are colorful and cute. I bought them for my half gllon jars,but I think they would also fit on my new one gallon jar as well. Our shopping experience was overall very good! The website was easy to navigate, full of great information and easy to order. The delivery of our product was very fast and hassle free even though we lived in Canada! Totally recommend your business. I have and use two of the gallon-sized caps and two of the 2.5 gal. vessel caps. (Because one 2.5 gal is just not enough around here!) I absolutely love the caps! They fit and function perfectly, and make brewing more practical and less stressful. 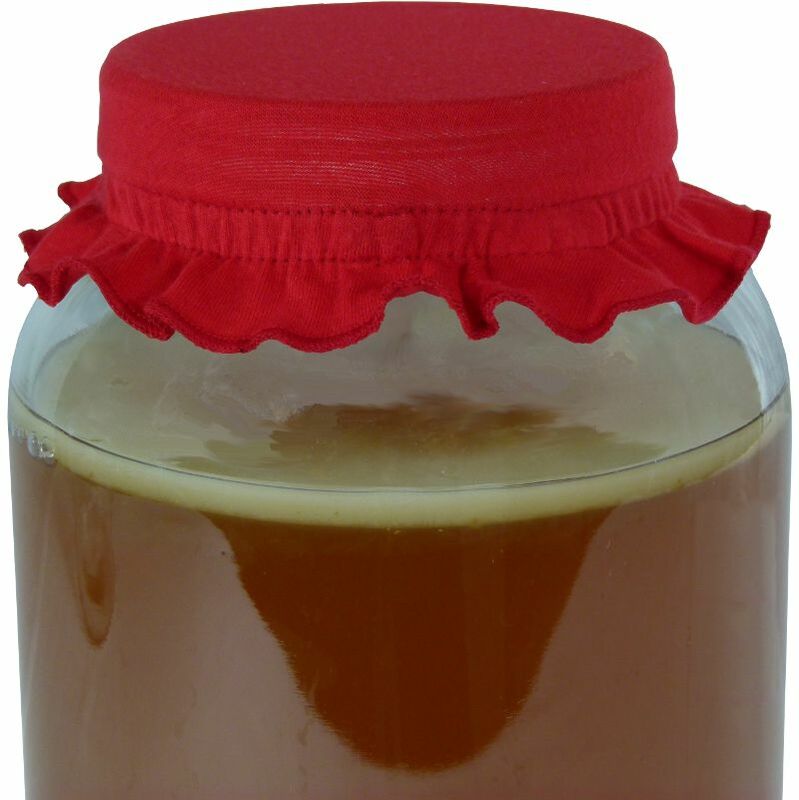 I was forever struggling to feel that my other various covers would hit the correct balance of air circulation for the scoby and good sealing to keep out the fruit-flies! Plus these look attractive and neat, whereas my rigged-together ones were very untidy. I am a huge fan of these products and they are well-worth the investment! Bought three of them and probably will need more:) I was looking at Amazon for a cover and so glad I found this covers. They look so neat and match my kitchen! I LOVE these covers. They fit perfectly on the ceramic brewer and they look nice. These are adorable. Much better than the disposable tissue I've been using. Also much reduced fear of contamination, fruit flies, the odd cat hair. Yes I have a sewing machine but do I have time to make those things? Too busy brewing. I like the color options, every mother gets her own color! These covers are very well made, and the elastic band has sort of a rubber inside to help it grip the top of my jars. 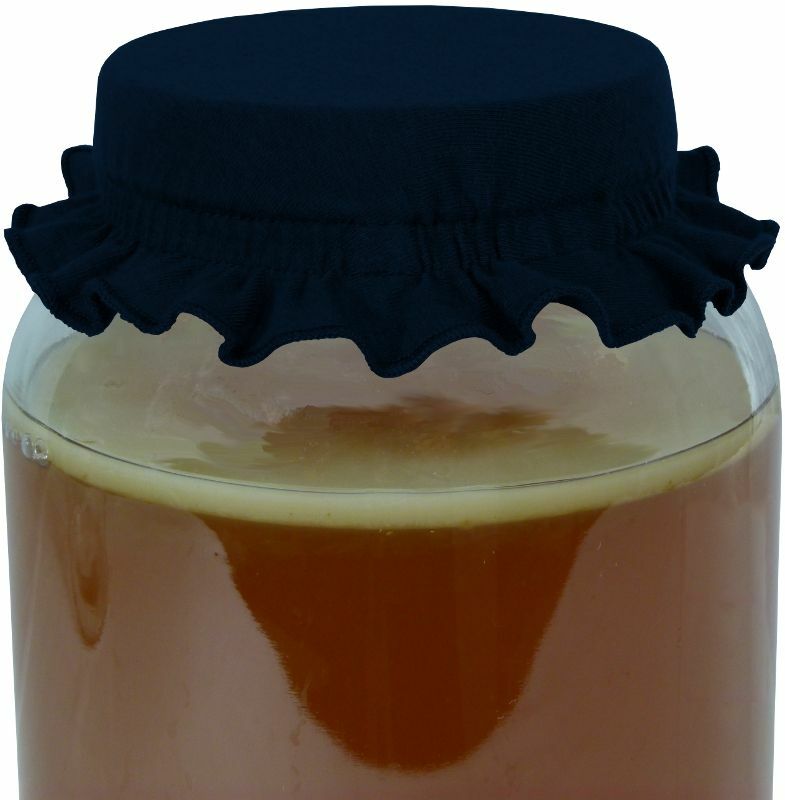 I have them on 2 1/2 gallon jars with 4 3/4" tops, and they fit great. I would rate this a 5 star product. These covers are a perfect fit and look amazing on my jars. Great product. 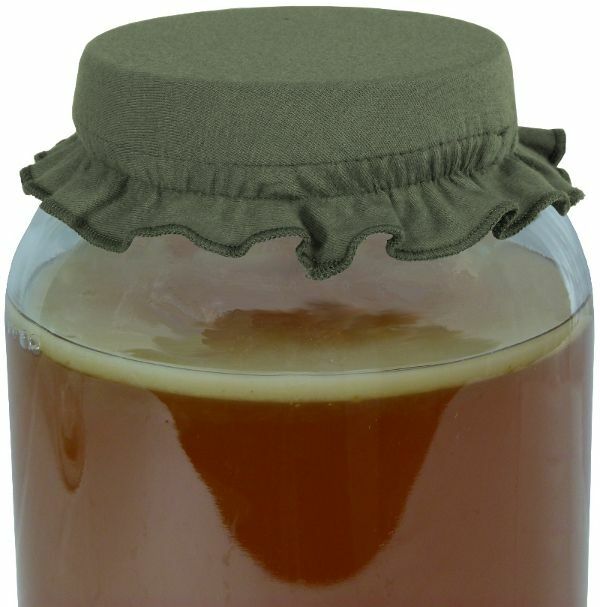 These covers are very well made, tightly wover fabric and fit snugly on all of my jars. Also, the colors are vibrant and are much prettier than using kitchen towels or paper towels and rubber bands. It certainly steps up my brewing operation. I have been using the covers over my continuous brew system and my scoby hotels. The covers are wonderful. They fit the top of my water vat with no issues, covering and staying in place with moving. They also fit my 1 1/2 gallon jars snugly and easily. I love the dark blue I ordered as it matches my traditional kitchen colors. Okay. I know I could make these cute little covers but I would rather spend my time doing other things! They fit nicely on my one gallon jars and also on the one quart mason jars. I can color code the jars to know which batch is ready. I'm very happy with them. I would like to see white and more colors added to the collection (Color; I'm an artist, can't help it).